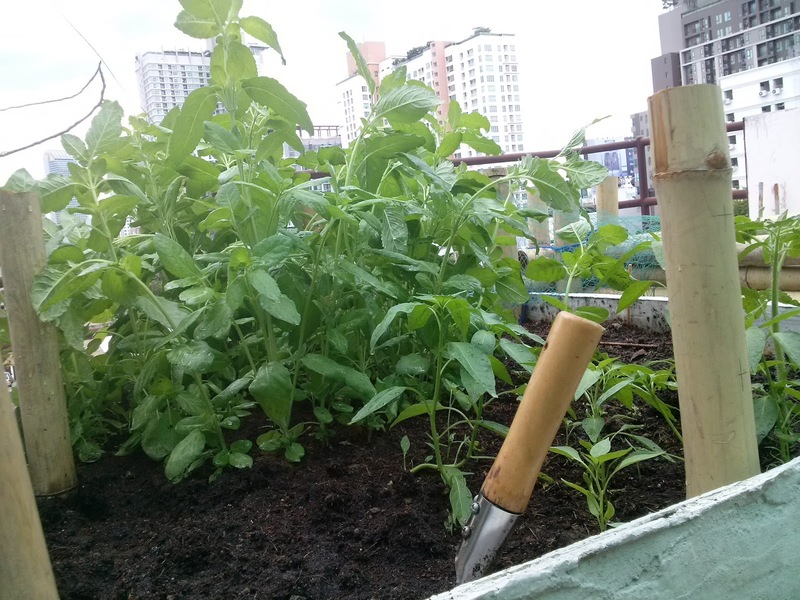 May 25, 2016 | ProgressTH We've been working on an automated rooftop smart garden. While we still work on automation (then on sensors to make the garden 'smart') we are still learning about the basics of grow beds and which kinds are most suitable for our project. We had two types we were using. A ferrocement variety with thin panels of steel-mesh reinforced cement lashed together using bamboo poles, and entirely bamboo beds. It turns out even on the 5th floor in the middle of a big city, ants like to tunnel into bamboo. Not only that, we have found it very difficult to keep the all-bamboo beds lashed together tightly over time. Additionally, between each bamboo pole are gaps that soil can wash out of during heavy rains. The cement panels do not have any of these problems and the cement panels make up the only bed we actually have been able to put soil in and grow anything in. Since we set up the ferrocement bed, it has rained heavily several times and the soil has remained in place. In the accompanying picture, you can see basil and chili pepper plants growing in the ferrocement bed. 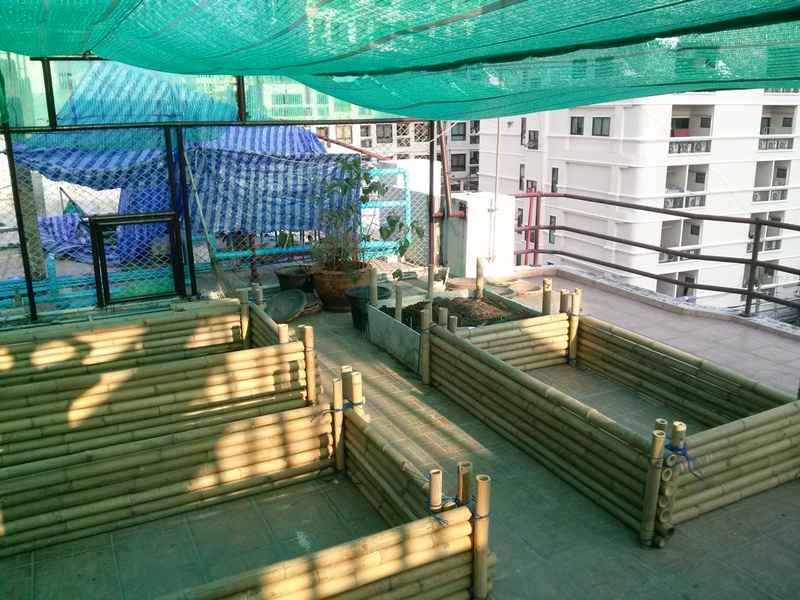 The bamboo beds still haven't been successfully lashed together with enough confidence to fill them with soil. The bamboo beds looked great and promised lots of growing room. But between the ants and the difficulty so far lashing them long-term, the ferrocement bed (top of picture) seems most promising for our project. We'll probably be building more cement beds over the next month while testing automation with the first bed. For your project, you may have different results. Don't be afraid to try something new, but perhaps don't buy as much bamboo all at once like we did! We'll find something to do with it. For more information, follow our build on Hackaday.io.